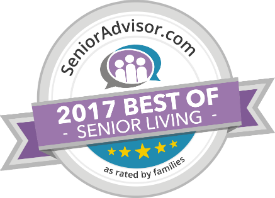 TUCSON, AZ (Monday, November 19, 2018) -Via Elegante Assisted Living and Memory Care will be holding an open house at its newest assisted living community on Friday, December 7. The new community will be called Via Elegante Assisted Living, Tucson Mountains, and it will be located at 2797 N Cerrada de Beto, west of Silverbell and north of Grant. It is scheduled to open in January 2019. The open house will begin at 1:30 pm and last through 5:30 pm. Please join us along with Mayor Rothschild for the official ribbon-cutting ceremony at 3:30 pm to mark the opening in the community. The event will give prospective residents and their families the opportunity to visit Via Elegante’s newest community for themselves and see its beautiful yet affordable luxury suites. 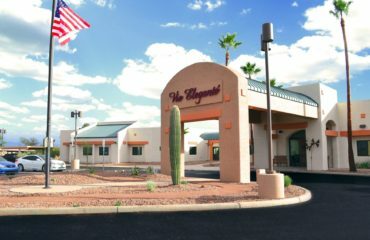 Via Elegante Assisted Living, Tucson Mountains, consists of 66 suites, with 98 beds available in total. 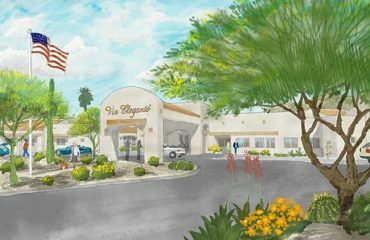 Residents can expect to enjoy the same high-quality clinical care they would receive at any of Via Elegante’s communities, along with a spectacular view of the nearby Tucson Mountains. According to Andrew Briefer, Senior Managing Partner of the Via Elegante Companies, the opening of the new community will create as many as 50 new jobs for the local economy. The event will give prospective residents and their families the opportunity to visit Via Elegante’s newest community for themselves and see its beautiful yet affordable luxury suites. Applications for tours of the new community are already being accepted, and the first move-ins are expected to begin in December. 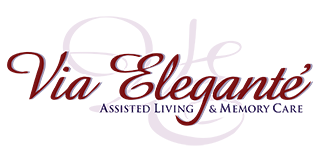 Via Elegante Assisted Living and Memory Care operates several assisted living and memory care communities in Tucson and Sierra Vista. Each of Via Elegante’s communities is designed to provide cutting-edge care for residents in a comfortable, home-like environment, while still remaining affordable for families.